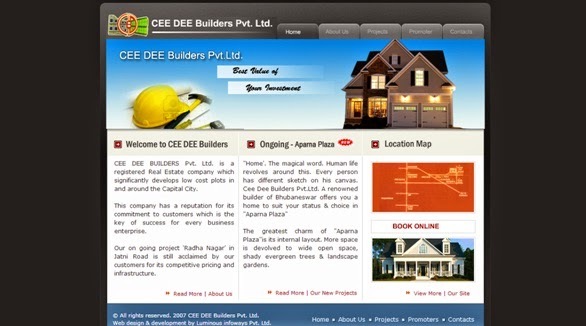 CEE DEE Builders Pvt Ltd is a registered Real Estate Company located at the capital city Bhubaneswar, Odisha. This real estate company has a reputation for its commitment to customers to provide affordable lands and housing in the city. Mr. Niranjan Das, the managing director of this company. He has 25 years experiences in the field of constructions and building projects. Siltiguda Dam Project (Rayagada), Mahanadi Barrage Project (Cuttack) and Apartment projects at mouza Ghatikia, Bhubaneswar.